A month during which you have much to be careful about in context of your health. This is especially true of those already given to chronic disorders like rheumatism and digestive ailments like excess of wind of the digestive tract. There is every reason to be very careful about maintaining proper precautions as well as to take appropriate treatment as and when needed. Any delay in this could pose problems of a serious kind. The stars are not very favourably disposed therefore, refrain from overindulgence, since this too could pose problems. Stick to a carefully balanced life-pattern, and you should come out relatively unscathed. The combination of stars facing you this month is not favourable for your financial prospects. Most of you would struggle quite a bit to try and realize some portion of your planned objectives. Even then, success may elude you. There would be a great deal of travel, but this, too, would appear to be a pointless exercise and bear little fruit. Writers, painters, and other practitioners of the arts would have an extremely bad period, and it would be a wise policy to make adequate allowances well in time. The climate would be far from congenial for investment and new ventures, and you would do well to maintain a low profile. Nothing very encouraging in the augury from the stars for your professional prospects. Even though the workload may not be heavy, the overall working condition would be less than satisfactory. There would be a good deal of travel, but this would fail to bear any fruit, with little likelihood of realizing, anticipated gains. There is some chance of marginal benefits coming your way through a sojourn to the south. 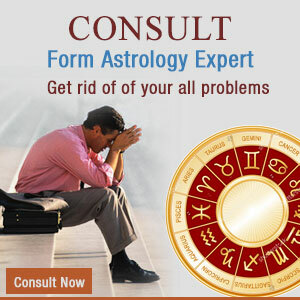 Further, contacts and influential friends will not be able to do very much for you this month. There would be some sort of imbalance in the whole sequence of events that would continue to keep the expected gains and benefits from you. This month there are excellent educational prospects ahead of you, with a chance of scoring a notable success. Those studying languages, journalism, and literature can look forward to doing very well indeed. There are chances that some of you might go on to match up some significant success. This also applied to those of you pursuing dance, drama, music, painting, sculpture or the other fine arts. Further, with just about normal effort, there is every chances that those of you sitting for some competitive examination would succeed in their objectives. And finally, most of you would be blessed with an open inquiring mind, which will make learning quite easy. This month you can look forward to undertaking a great deal of travel most of which would be official in nature proving extremely beneficial in most ways, since the stars are quite favourably disposed. Not much air travel is indicated most of it being either by rail or by road though some of you could well go abroad by sea. This too would be extremely beneficial with west being the most favoured direction. Some of you would also go on holidays with your families to interesting places. A month during which the family atmosphere may be vitiated by strife and discord, with serious problems cropping up. There is a likelihood that your family may come under debt to meet some urgent expenses. Still, there are even chances that with advance planning and action you may be able to avert such a possibility. There is also the likelihood of serious differences with your brother. This could develop into a conflict of serious proportions. Here, again, you should steer a course of action that goes round the trouble spots. With a certain amount of patience and restraint, you could get over this difficulty. Nothing particularly beneficial in the augury from the stars in so far as the prospects for your children are concerned. Parents of children sitting for competitive exams would do well to insist on extra coaching, since this might be necessary for success. The performance of most of them would not inspire much confidence. But this would be fairly due to the unfavourable circumstances they are likely to face. Most of them may also not display much respect for their elders. A month during which you should keep a close watch on them. This year Saturn shall remain in Sagittarius in 3rd house. 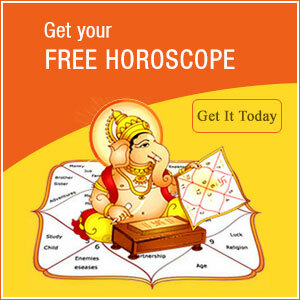 On 23rd March Rahu shall be entering into Gemini in 9th house. On 29th March Jupiter would enter into Sagittarius in 3rd house and would return to Scorpio in 2nd house on 23rd April after turning retrograde. On 5th November Jupiter would again enter in to Sagittarius in 3rd after becoming direct. Professionally it would prove to be a favorable year. In the beginning of the year there shall be sudden financial gains for you. Business persons are advised to expand their business as much as they can and for this purpose they should be investing more and more money. Those who are waiting for their transfer to a suitable place of choice shall have to wait till March. You will be getting cooperation of your seniors as a result of which you would be able to earn reputation at work place. Financially it would be an excellent year. Second house Jupiter is giving strong indications of continuity in financial gains. You would be able to increase your saving potential for the consolidation of your financial position. You would be spending money on the celebration of auspicious ceremonies in the family. If your money is blocked then you expect to get it back. You might get money from senior family member or maternal side. This is a good time for investment. From family point of view it is going to prove to be an excellent year. The transit of Jupiter in second house indicates that you shall be getting cooperation of whole family and in addition to that there shall remain atmosphere of happiness, peace and harmony in the family. You relations with your maternal uncle shall improve and after 23rd Marxch the time period is likely to become more favorable. The 3rd house Saturn would enhance your social reputation. This year is favorable for the health, education and career of your children. If they are of marriageable people then the possibility of marriage can also not be ruled out. After 23rd March there can be obstacles in the birth of child because of the impact of Saturn and Rahu of Transit on 5th house. During that time the pregnant ladies are advised to be cautious and in addition to that you should pay extra attention to the health and education of your children. Your health would remain good in this year. Your working efficiency and immunity would increase. The atmosphere of happiness in the family shall keep you happy and tension free. For enhancing your power of immunity you are advised to take interest in Yoga and meditation etc. Be a pure vegetarian, live a disciplined life style and get up before Sun rise every day. This year is good for attaining success in competitive examinations. You can expect to get employment in this year. Those aspiring to get technical education might get opportunity to go abroad. Actually time period at present is auspicious for getting admission in the field of technical and industrial education. It would be a good year for your journeys. There are probabilities of abroad journeys too and in the month of April you shall be travelling because of your work. In long journey you shall have to be cautious about your health. You would be interested in religious activities. worshipiing Shiva would prove to be beneficial for you. 1. Offer Arghya to sun daily. 2. Establish sriyantra at place of worship and light a lamp of Ghee in front of it daily. 3. Chant Laxmi mantra 108 times daily on a rosary of lotus beads. People born under the sign of Libra are peaceful and fair, and they hate being alone. Partnership is very important for Libra -born, and with their victorious mentality and cooperation, they cannot stand to be alone. The Libra is an Air sign, with expressed intellect and a keen mind. They can be inspired by good books, insurmountable discussions and interesting people. People born in Libra have a graceful body: for example a pretty person with a round head and quite a small person with a nice face, for example a high forehead; a thin nose; a dimple; pale, and thick eyebrows. They are also charismatic. 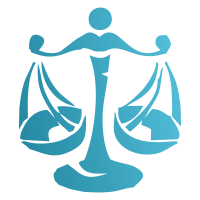 The symbol of Libra is balance and Librans have a tendency to maintain balance in everything they undertake. They are affectionate and avoid getting into an argument. They are known for their beautiful smile, cheerful disposition and romantic temperament. They are diplomatic, graceful, peaceful, idealistic, hospitable, gentle, compassionate, courteous and honest. They can be successful artists, business persons and politicians because of their balanced approach. Famous for judgement, weighs pros and cons thoroughly before coming to a conclusion. Covets the prosperity of others but never fails to help dependents. Upright and sympathetic but flexible and sensitive. Anger is soon pacified. Thinks of others more than self and can argue with clarity and foresight. Always for justice, harmony, love and peace at any cost. Being an airy sign, they are ardent lovers of nature and its beauties. Changes abode to undertake frequent travels and loves high standard of living. Takes interest in their dress, furniture, conveyance, and other comforts. Libra natives are co-operative and make good team-mates. Persuasive and balanced in their approach, they are good at marketing and making presentations. They like to mediate, to arbitrate in disputes and to balance things around them. One of their innate missions is to work for peace and harmony in the world, imposing justice and order with the help of their inborn diplomatic skills. Since Libra natives have natural artistic and aesthetics abilities, they do well in the careers that require them to socialise, to teach, advise, guide, and to harmonize associations. Therefore, they are well suited as diplomats, judges, public relations consultants, advisers, psychologists and artists. Expert traders,usually popular, makes a good business partner. Wins goodwill and popularity in public. Make good salesman, liaison officers, and receptionists. Lover of art and female society. Loved by fortunate females. Liable to suffer from problems in kidneys, pain in spines and infectious diseases. Females may have problem in uterus. Tall slender, well proportioned strong body, handsome appearance, fine skin, baldness in middle age, eyebrows add to the beauty, nose little bent like parrot, gap in teeth, raised forehead.